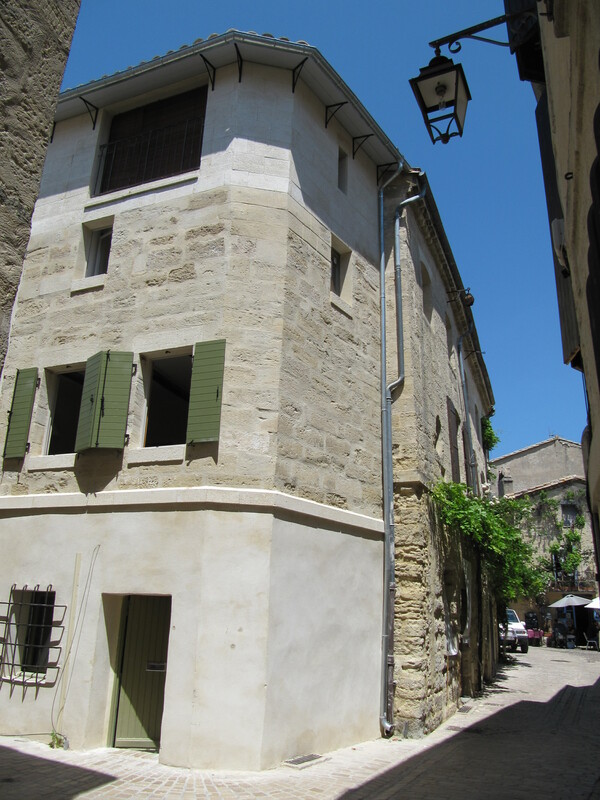 We have just added the finishing touches to the house in Rue Saint Roman: new guttering, loggia windows and shutters outside, staircase railings, new paint and other decorative features inside (pictures of that soon). Every house in Uzès has got to choose from a limited and strictly-enforced local colour palette. What do you think of our Uzès-green?